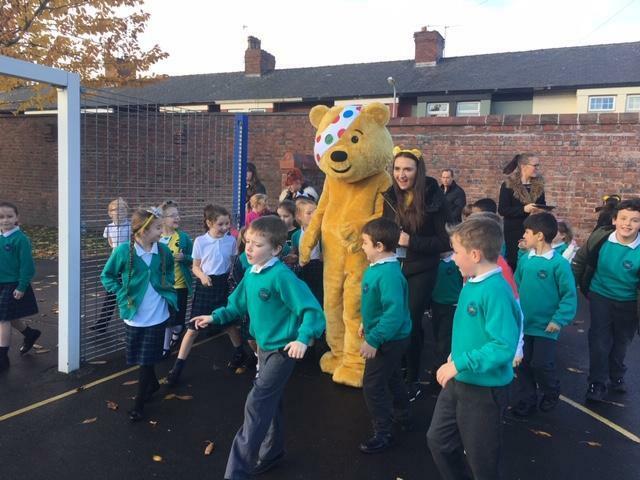 Pudsey came to visit Linacre with Radio Merseyside, on Monday 12th November, for Children in Need. He did the Linacre 10 with years 1-4, before visiting Reception and then watching a penalty shoot out with years 5&6. 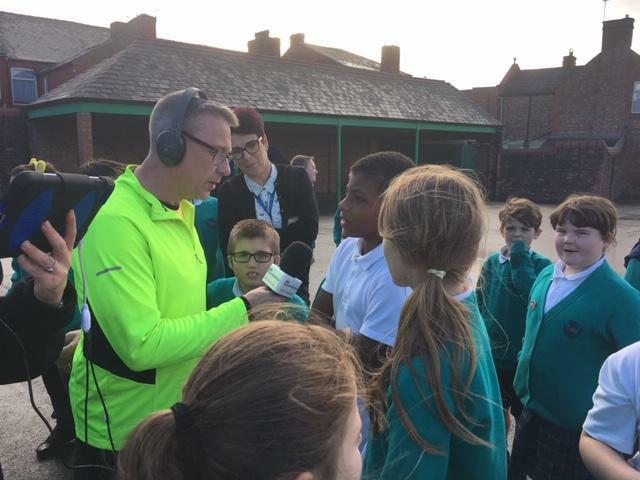 Children from Y6 were interviewed live on the radio and gave their thoughts on the Linacre 10 and life at Linacre. 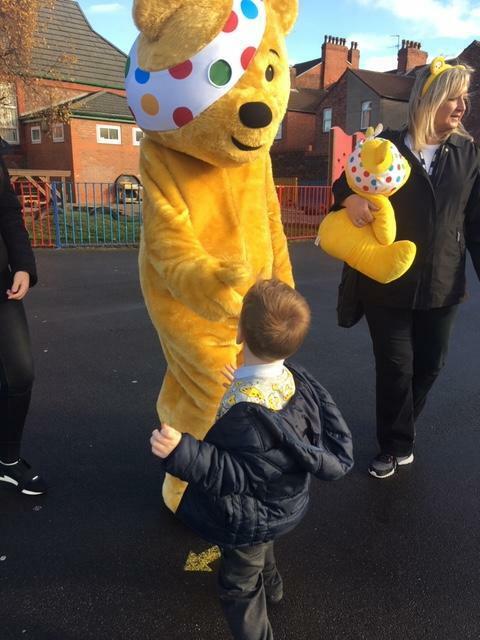 The children really enjoyed meeting Pudsey. Thank you to all parents and carers who supported Children in Need and donated so generously. The final amount will be included in the newsletter.